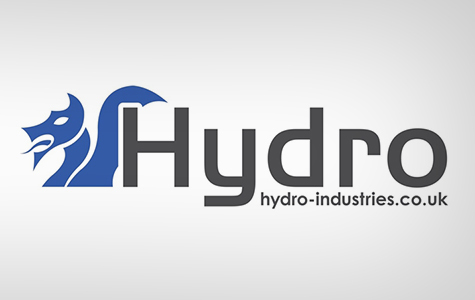 Hydro Industries is a water-based technology company developing, designing and operating electro-based solutions for water purification and industrial effluent processing. Electro-based treatment, which uses electrons to treat water without the need for chemicals or biomass, is a highly efficient ‘clean technology’. It works in a wide variety of industry sectors including oil and gas, marine salvage, mining, utilities and construction. Hydro’s services include electrochemical engineering and process design, environmental legislation management and support, laboratory and product development prototyping, and client-based automated system control. It is also involved in system installation and commissioning, service and support management tailored to client’s requirements, and client partner training packages. A home-grown Welsh business, Hydro’s objective is to champion innovative thinking with a clear humanitarian purpose and transform how water is purified around the world in communities where clean drinking water is at a premium. Clean water is a limited natural resource essential for life and economic growth and many regions simply do not have enough to meet their demands. With the predicted doubling of the world’s population over the next twenty years, this problem is expected to increase. Clean drinking water and wastewater management, the safe discharge of water from industries, including mining and construction, the ability to recycle water and recover precious metals, and the on-going strengthening of environmental legislation, means that more effective and sustainable treatment technologies will be required. To meet these challenges head on, Hydro Industries’ vision is clear, namely to become a world leader in innovative electro-based technology solutions for the supply of fresh water, wastewater treatment and pollution management. The challenges faced include security of product and people when faced with supplying technology in some of the toughest working environments globally, the volatility of commodity pricing (such as aluminium and iron) and access to sustainable power sources when working in remote environments. There is also the management of legislation changes globally to meet regional requirements and therefore grow market share. Hydro Industries’ greatest resource is its team based in West Wales, which has developed a vast array of knowledge and skill and this has been the key driver to grow the business to its current level. Its technologies also have the ability to treat water in a wide variety of industry sectors and deal with a wide range of contaminants, which means that it has been able to expand into various industrial settings. Its treatment units can supply a high flow rate of treatment while taking up a small footprint of space and the system is easy to deploy and operate. Hydro Industries is thinking big and growing global and is continually looking to improve its in-house skill base, looking to add strength to its organisation from targeted recruitment and organic growth via training. Building on the UK domestic market, Hydro is targeting export growth in key sectors such as drinking water and wastewater management, together with applications in mining and steel production. Taking its social responsibility seriously, Hydro Industries engages with and supports community projects and organisations wherever possible.